Provides the address, GPS coordinates, and history of assessments and taxable assessments for all accounts in Nova Scotia for the last five tax years. This dataset contains location, address and property characteristics for residential improved properties in Nova Scotia. Provides the address, GPS coordinates, sales date and sales price for all sales in Nova Scotia from July 2010 onwards. Building permit data for Statistics Canada Building Permit Survey (BDP) Section A: Major Construction Projects. Section A includes all residential permits which are for more than $50 000 or which result in the creation or demolition of a unit. This section also covers all non-residential permits of more than $250 000. Data will only be made available for Municipalities that have signed an agreement to release their municipal permit data on datazONE. This dataset contains all assessment account numbers and associated land sizes and civic addresses with geographic coordinates. Note: Only one civic address is displayed per property. There are properties with multiple civic addresses. The dataset contains the building footprints of all buildings in the CBRM as polygons. Along with the spatial information, the dataset also includes specific attributes of the buildings such as building description, class, and building name. This dataset contains location, address and property characteristics for commercial improved properties in Nova Scotia. 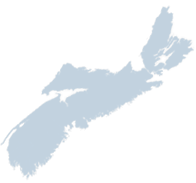 A visualization of the total number of sales by month for Halifax Regional Municipality. From July 2010 onward. Building permit data for Statistics Canada Building Permit Survey (BDP) Section C: Minor Non-Residential Projects. Section C includes all permits for minor non-residential projects with a value of less than $250 000.